OAKVILLE, ON – Cameron’s Brewing has announced that a beer introduced last month as a draught-only product will soon be available as next installment in the brewery’s series of limited edition bomber bottle releases. This golden-orange and medium-bodied bock is extremely smooth and rich in character. We selected German specialty hops including Hallertau to create a hint of floral aroma in this complex lager. A malt-accented ‘bockiness’, balanced with earthy and floral hop character combines with Cameron’s signature use of rye malt for a pleasant dryness and subtle, peppery flavor. This creates a delicious variation on a classic style. 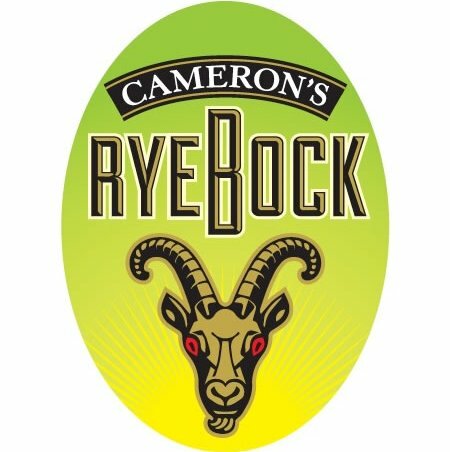 Cameron’s Rye Bock is available starting this week at LCBO outlets and the Cameron’s retail store, priced at $5.95 per 650 ml bottle. It will also continue to be available on draught at select pubs in Toronto and surrounding area while supplies last.